I produced the monthly Quids In! Professional Network newsletter for the Social Publishing Project in Bath, aimed at people who work with vulnerable people. We currently have more than 1,700 subscribers. 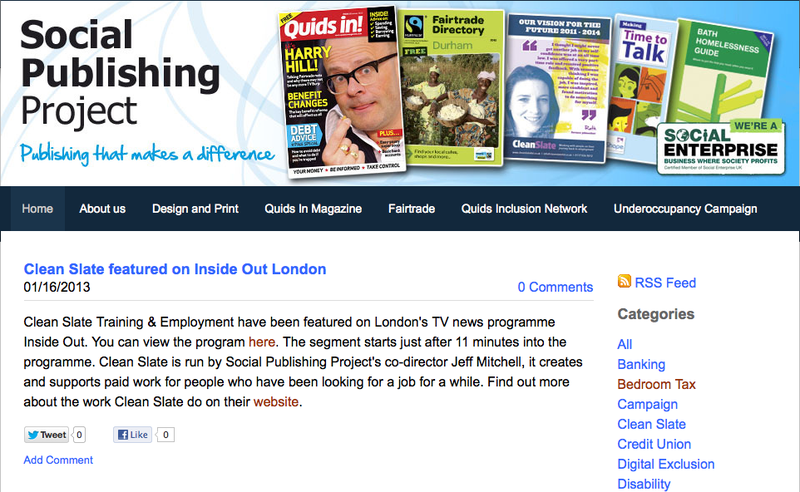 QIP supports Quids In!, the financial advice magazine with a print run of 166,000. This is mainly distributed to social housing residents.